I hosted a tea party this last Saturday to celebrate my mom's 65th birthday and it was so pretty! 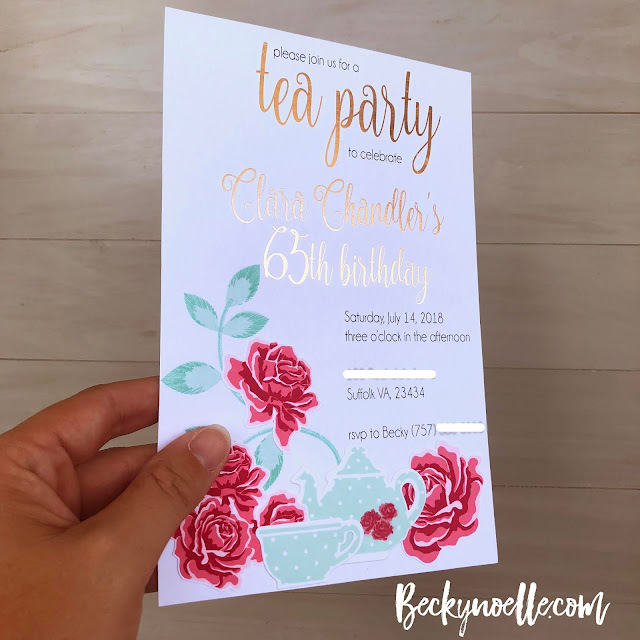 I made invitations with some stamps from Papertrey Ink (Sweet Life, Tea for Two, Turning a New Leaf, and Embroidered Blooms), Photoshop for the text, and some Rose Gold Foil and my Minc Machine! and now, on to the party! It was super fun, everything was delicious, and the birthday girl really enjoyed it so I'm calling it a super win! Inky Paws Challenge #77 aloha! 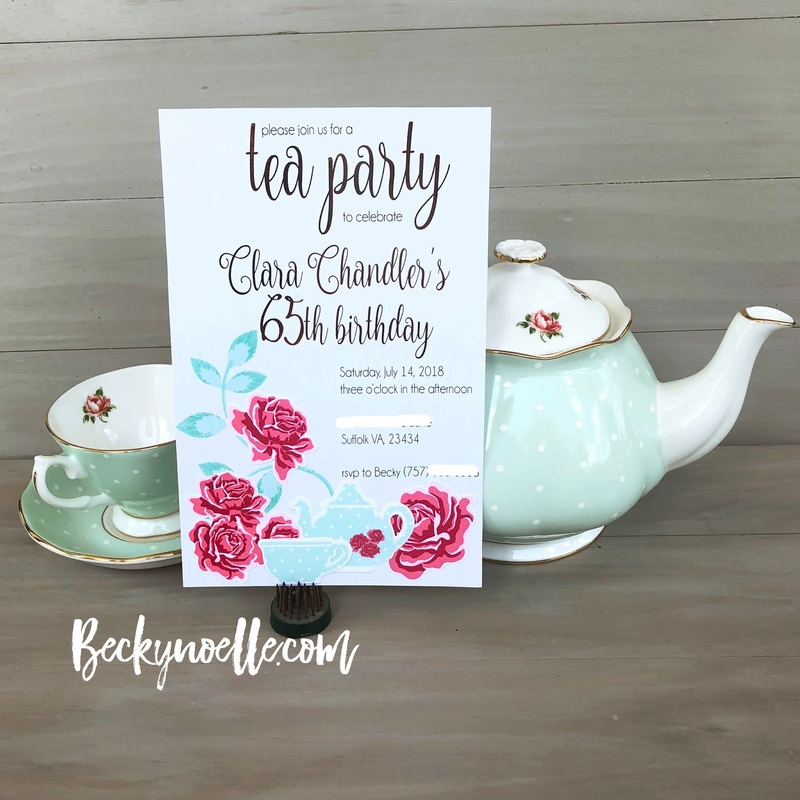 Christmas in July and an announcement!